Welcome to the SADA website! We are a volunteer, non-profit corporation and are organized to promote competitive darts, co-ordinate the functions and activities of darts, establish and co-ordinate a harmonious relationship with other dart leagues and promote competition of darts in and around the Savannah, GA area. Book Your Room by April 17, 2019! 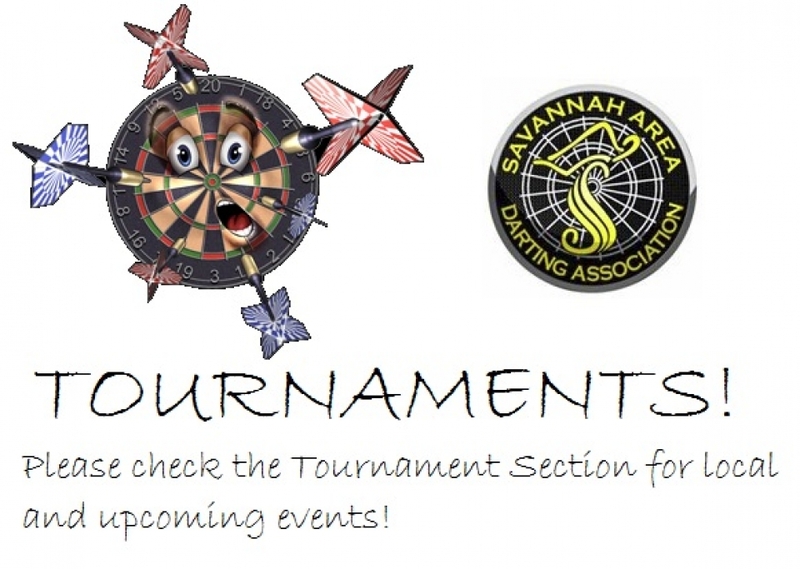 The Savannah Open Tournament will be held at the Clarion Suites Conference Center May 17th - 19th, 2019. Call (912) 925-2700 and ask for the Savannah Open Tournament Darters Rate before April 17, 2019! After April 17, 2019 room rates will go back to their normal rate. Contact your division rep for more info! - Get your water bottles!